Make Your Prom And Homecoming A Night To Remember With A Limousine Like You See In The Movies! We are happy to provide limousine service to all of our local high schools and colleges! Whether you want to make a big night out of your school dance, a prom, homecoming, big football game, or otherwise, give us a call and we can handle all of your needs! Parents, feel free to give us a ring and check out all of our 5-star reviews - we ensure your child's safety and always get them back home on time! We know how to show them a good time, while keeping them safe! We love serving our local schools and have happy clients from all of them, including Mayfield Junior School, Chandler School, Polytechnic School, St. Phillip the Apostle School, St. Andrew's Catholic Church and Sequoyah School. We have offered a lot of fun times to students that attend Mayfield Senior School, La Salle, Maranatha and St. Francis for prom, homecoming, and school dances, and parents always feel safe knowing that their kids are in great hands. The third largest state by area in America is California, we have no shortage of schools and graduates! Great landmarks sprinkled all over the area of CA, we can show you a great time in Los Angeles. Lots of places to visit and to have a great vacation after graduating. Some of the states’ prides are Disney Land Park, its Golden Gate Bridge, and Hollywood sign which resonates the name of the lovable state. Even in the world of academe, CA has its accomplice; California State University, Chico. It has been known as the second-oldest campus in the University system. These are just few of the good spots that the state has, and one of the places that people who loves to travel tend to go at. The native dwellers or the migrants of the place, enjoy all the abundance of the area. Pasadena, a city in Los Angeles California, serves as the ninth largest city in LA County has great hotspots also. Academy and university in the city is brilliant. A great number of students prefer to study at CA and receive their diploma at the state’s school institution or university. With the pride and elegance of the city, proms and homecomings are ideal in this place. Students and alumni allocate a huge time for the preparation of these one-of a kind ball experience. As those people prepare and dress as sophisticated as they can be, there is a great offer to complement the memorable and stylish event of their lives. Start not to worry about transportation! The Best Pasadena Limousine and car service is now at your service, not just in the city but also all around South California. Are you the kind of student or alumnus that stands with elegance and style? Prefer to be in a limo going to or from promenades or alumni homecoming? Your wants has an answer! A transportation service in Pasadena and near the area of it, that complements to the classy event you will going to, featuring the ever-class limousine as your service. Even a student and fresh graduates has the big chance to try luxury cars for their special moments. It is a transport provider with class that accommodates clients in 24 hours, 7 days a week manner. The form of inquiry can be in online system, orientations and pre-information are given and being dealt with. At the peak of Limousine Services, the primary objective is to render brilliance and merit in Pasadena Limo service with constant and specialized service each and every time as possible. The industry form relationships of trust with the best limo transportation clients and future-clients. And attempt to convey them the very finest and most deluxe experience possible. Car Service and Limo in the city offers a wide assortment and collection of limos, SUVs, and town cars. 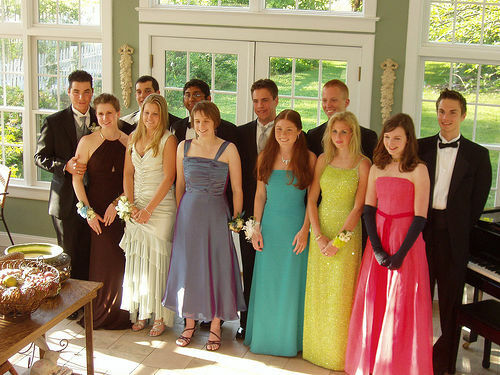 It provides luxurious limo services for great happenings, such as weddings, people whose fun of vacations, other important Anniversaries, high school’s ever wanting Proms, most awaited graduations, other special events, parties with class, outdoor activities, airport service and Alumni Homecomings. With well-oriented and professional drivers and updated devices to be used, limo can get you there with elegance and in chic! Reserve your great experience and event in proms or homecomings with a luxurious yet affordable limo and cars in service. Be an elite-like person who experiences a worthy and deserving road service. Call now at (626) 376-4165 and be familiar with all the terms and conditions being provided, with great affordable services. Try now and experience the luxury in road with best limo services in CA. Visit us from Glendale, CA through a 16 min car ride.